Amazon brown paper box packaging that’s great for all: customers, companies and the environment | Planet Paper Box Group Inc. 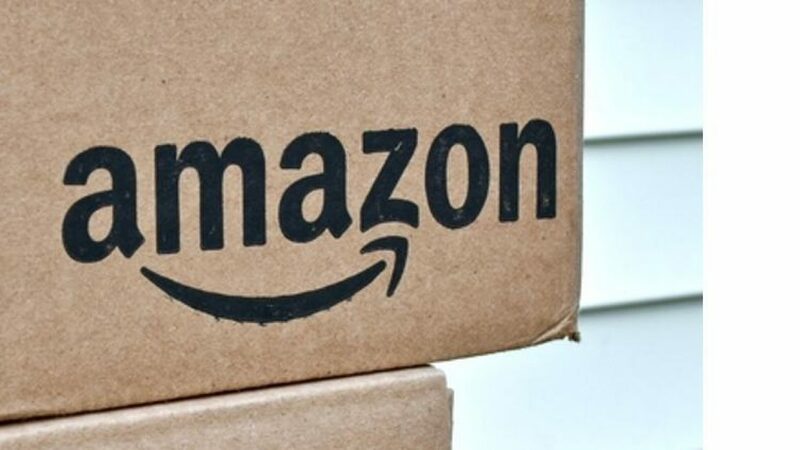 Through its Amazon Packaging Certification program and other initatives, the world’s largest online retailer is partnering throughout the supply chain to improve brown paper box packaging for ecommerce deliveries. In an exclusive interview, Brent Nelson, senior manager, worldwide packaging, Customer Packaging Experience (CPEX), tells Packaging Digest about the company’s business model, the Amazon Packaging Certification Guidelines and how teamwork will solve many of today’s packaging challenges for ecommerce marketing. Nelson will be speaking at the upcoming SustPack 2017 conference (Apr. 24-26; Scottsdale, AZ), along with his colleague Kim Houchens, Ph.D., director of worldwide packaging (CPEX) for sustainability. On Tues., Apr. 25, at 4:15 p.m., Nelson and Houchens will co-present “Digital Moment of Truth: Designing Packaging for e-Commerce,” in which they’ll talk about the company’s successes with right-sized and frustration-free packaging, and share their packaging design tips for optimized shipments. Nelson previews some of what conference attendees will hear, and comments on other key ecommerce trends such as unboxing videos and heightening the consumer’s experience. How important is packaging sustainability to Amazon and why? Nelson: Our number one priority is to delight customers and packaging is an important part of that. Thirty one million times a year customers give us feedback and usually tell us they love our packaging, but there’s always more room for improvement. We are working hard on initiatives to further reduce packaging waste while protecting orders for customers. One of those initiatives is our Amazon Packaging Certification program, including Frustration Free Packaging, which last year collectively eliminated nearly 83 million corrugated boxes. To date, we have more than 1.1 million items that are available in certified packaging. What are the challenges you’re seeing in ecommerce packaging and sustainability, and why? Nelson: We consider packaging sustainability to be a win-win-win and we are working hard to share our standards and guidelines with brand owners and the packaging industry as a whole, so we can drive those positive outcomes faster, together. The primary challenge we see is that packaging designed for brick-and-mortar retail is in many cases not optimal for online fulfillment. Packaging designed to stand out on a retail shelf is often oversized, with expensive “romance” design aesthetics, redundant features to prevent theft and not capable of surviving the journey to the customer. In many cases, these features can lead to suboptimal packaging for online distribution. How can these challenges be solved or overcome? Nelson: The most important thing is that the industry works together to create packaging that’s great for customers, companies and the environment. Using our Amazon Packaging Certification Guidelines, we are working to educate the industry about the impact that sustainable packaging has on customer satisfaction, including repeat customers and cost savings. That’s part of why we are excited for the opportunity to present at the upcoming SustPack 2017 conference and why we are actively participating in forums where brand owners and packaging industry influencers are present. Certified packaging designed for Amazon and online fulfillment is a win for customers due to right-sized packages being designed to prevent damages; it’s a win for our brand owner partners and Amazon because it’s less material volume and often much lower cost; and it’s a win for the planet—the reduced amount of packaging is less wasteful, and lower damage rates mean less transportation of goods to and from the customer. Are the packaging design tips you’ll be sharing with the SustPack audience ones Amazon follows or are they what you expect your vendors to follow? Are the company’s packaging expectations different for its own products versus products other vendors sell on the site? Nelson: Absolutely, our packaging guidelines are the requirements we leverage for our own Amazon private label products. Our objective is to create best-in-class certified packaging (such as Frustration Free Packaging) that customers love and serves as a model for our external brand owner partners to follow. A great example is our Amazon Basics business, which encompasses hundreds of different products that are certified as Frustration Free Packaging or Ships in Own Container. We will be sharing the core tenants of sustainable packaging for Amazon and a few of the many case studies of certified packaging designed for customer experience and online fulfillment. One of our goals for this presentation is to educate and dialogue with brand owners, packaging suppliers and designers about what, how and why packaging designed for ecommerce works. Packaging Digest recently wrote about a new whitepaper from Ameripen, titled “Optimizing Packaging for an E-commerce World.” Ameripen concluded that “[O]ptimizing packaging for ecommerce may very well look different than design for traditional retail, due to the different demands of the respective distribution chains.” What do you think? Nelson: The whitepaper reflects many of the key differences between packaging for ecommerce and traditional retail fairly. There are distinct challenges and opportunities in both models, with packaging and logistics as particularly distinctive management areas. What the author stated—and a key message of our presentation—is that packaging for online fulfillment requires a reimagining of packaging. Furthermore, we assert that online retail (versus traditional brick-and-mortar) is actually a powerful enabler to reduce packaging waste, as many of the fundamental design features for packaging in traditional retail are far less relevant online (for example, product not packaging on display and no size comparison across products). The author accurately asserts that ecommerce is beginning to be viewed as an independent distribution paradigm, providing an opportunity to design packaging with sustainability and optimization in mind. This is our business model—applying a sustainability lens to packaging enables us to create a better customer experience, reduce cost and drive more efficient use of resources, which reduces the environmental impact. A win-win-win. To do so, we must collaborate as an industry and is precisely why we are members of the Sustainable Packaging Coalition. In many product categories, brand owners have switched from rigid to flexible packaging for a variety of reasons, sustainability being one of them. Do you anticipate similar interest and activity with flexible packaging for ecommerce? Nelson: There is always a tradeoff that must be considered in terms of the sustainability impact of packaging, such as the amount of packaging material that is used, the quantity of post-industrial or post-consumer recycled material used and, finally, the end-of-life recyclability of the packaging materials. While there is no one-size-fits-all answer, we are committed to working with the industry and internally in our own operations to drive sustainable packaging solutions. In the small-parcel shipping environment of ecommerce, the dimensional weight cost structure is causing product manufacturers to rethink their shipments for “right-sizing.” How does dim weight enter into your suggestions for how to design packaging for ecommerce? Nelson: Certainly there is a trend toward lighter weight and decreased shipping volumes across the industry. Our commitment is to drive adoption of right-sized, minimal packaging that protects against damage and is made from environmentally responsible materials. Much has been said in the last couple years about the popularity of “unboxing” videos and heightening the consumer’s experience with ecommerce packaging. What does Amazon do with its packaging to elevate the consumer’s experience? Nelson: Amazon’s mission is to focus on what is best for our customers. With the launch of Frustration Free Packaging in 2008, our goal was to guide the industry to design and certify packaging that is right sized, easy to open and made from 100% curbside recyclable materials, features that are designed to delight our customers. Great examples of FFP packaging can be found on our Innovations and Sustainability sites. Brent, you’ll be presenting at SustPack with your colleague Kim Houchens, director of worldwide packaging sustainability. How do your two perspectives differ and why? Nelson: Kim and I have been in the packaging industry for a long time and actually worked together in former roles. My experience prior to Amazon was leading packaging innovation and supply chain teams for global consumer packaged goods (CPG) brands. Kim came to Amazon with deep expertise leading global data and material engineering teams for suppliers and other retailers. Our collective experience has been a great match and together we have worked to drive a compelling vision for our team and Amazon in the packaging space. What main takeaway would you like conference attendees to remember from your speech? Nelson: The time is now to reimagine packaging to enable companies to thrive in an ecommerce business model. Again, online retail provides distinct and powerful enablers versus traditional retail to invent packaging that delights customers, reduces waste and minimizes cost throughout the supply chain. Sustainability provides a critical catalyst for challenging norms and promoting systemic change in packaging.